Dreaming of spring? Join us for this 5-part interactive learning series. We will make basic garden plans, learn how to start indoor seeds, about pest control, soil building, succession planting & other tips for growing great gardens, no matter their size; at home, with your community, or both! Workshops are FREE, but please register below, so we know how many people to expect! Get your hands in the dirt & learn step-step tips for successfully starting your own seeds to get a head start on the season or to grow plants indoors or in containers throughout the season. 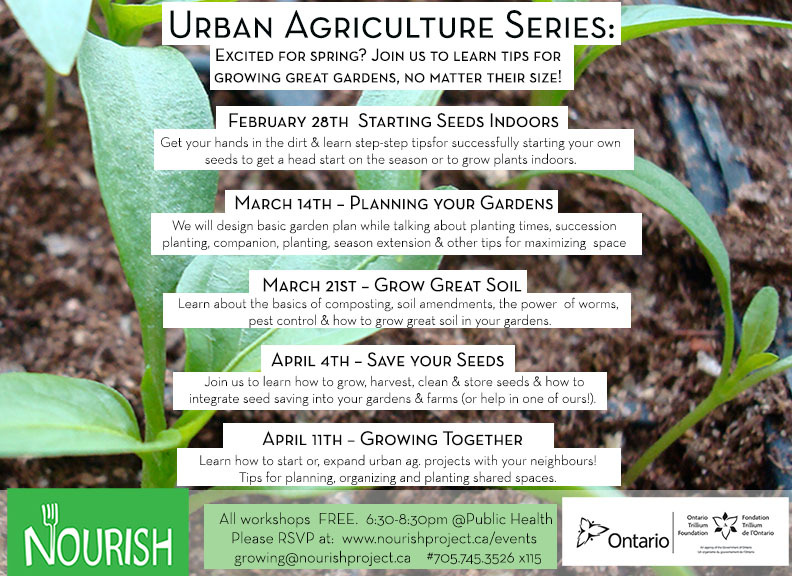 March 14th – Let’s Make a Garden Plan! We will design garden plans while talking about planting times, succession planting, companion planting, season extension and other tips for maximizing space. Good soil is critical for great gardens. Learn about the basics of composting, soil amendments, the power of worms, pest control and how to maximize growth in your gardens. 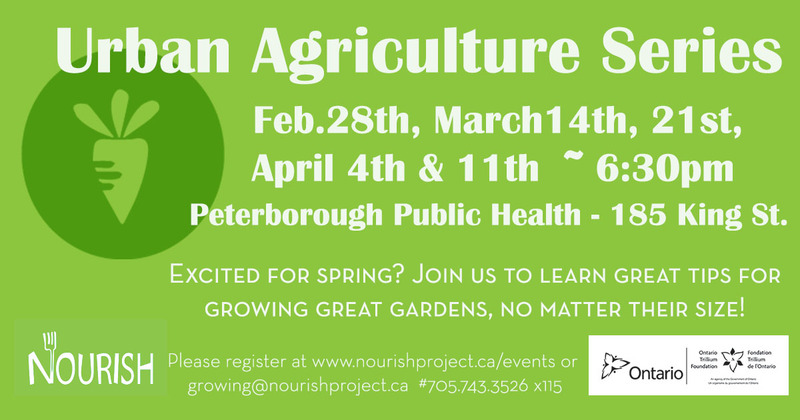 Learn how to grow, harvest, clean & store seeds & how to integrate seed saving into your gardens & farms (or help in one of ours!). Learn how to start or, expand urban ag. projects with your neighbours! Tips for planning, organizing and planting boulevard, community, school, church & other shared spaces. Make your communal, community, shared space & boulevard garden dreams come true. Existing gardens looking to expand or grow can attend as well!